The week of March 19th was a memorable one for Junaluska Elementary School. Kindness flooded our school as students and staff showed random acts of kindness throughout the week. Inclement weather did not bring down the mood as the week ended on a high note. Friday, March 23rd, was Make a Difference Day at Junaluska. For the past few months Joy Sollie, Guidance Counselor, began preparing for the incredible day. Community members, churches, and faculty at Junaluska were invited to a work session where Mrs. Sollie shared her vision about Make a Difference Day. It was decided that third, fourth, and fifth grade students, staff, and community would package meals for Rise Against Hunger, an organization that puts food in schools in impoverished countries around the world. Kindergarten students went to area nursing homes and sang and gave cards. First grade students made placemats for Meals on Wheels. Second grade students invited Police, Fire, and EMS personnel to come and enjoy cookies during their Cookies for Courage event. Mrs. Sollie, with the help of businesses, churches, families, and students, raised around $12,000 for all these things to happen! 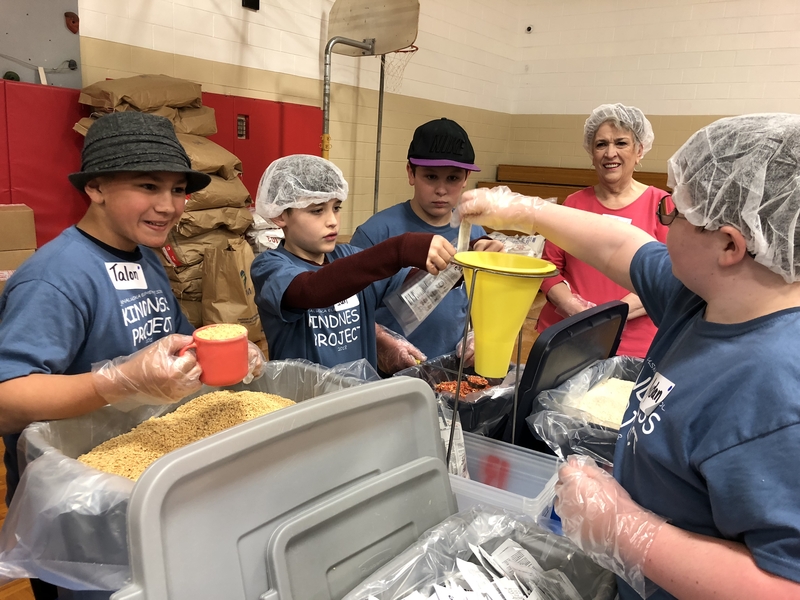 Junaluska Elementary third, fourth, and fifth grade students were able to package over 35,000 meals for Rise Against Hunger! It would not have been possible if it were not for the help of over 100 volunteers from local churches and community. All who participated felt an overwhelming sense of accomplishment after the final box was packed. Students cheered as the truck drove away with the meals they packaged knowing that they did make a difference. Thank you to all who helped this day happen! Haywood County Schools is in the process of reviewing its website to ensure compliance with Section 504 of the Rehabilitation Act and Title II of the Americans with Disabilities Act. If you have questions or concerns regarding the accessibility of the website or if you are unable to access a page or document on the website, you may contact the Technology Department via email at postmaster@haywood.k12.nc.us.